Prominent & Leading Exporter from Indore, we offer muslin clothes. Muslin Clothes is a type of Cloth usually made from 100% cotton, although some are made from synthetic materials. Available in various ranges. Made from good quality material. 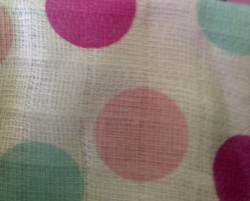 We fabricate muslin cloth in various shapes and sizes as per the specifications provided by the clients. Size: 15×15 AND ANY OTHER AS PER YOUR REQUIREMENT. Looking for Textile Fabrics ?